AAMAD’s inter disciplinary and cross cultural projects are an important part of its activities. 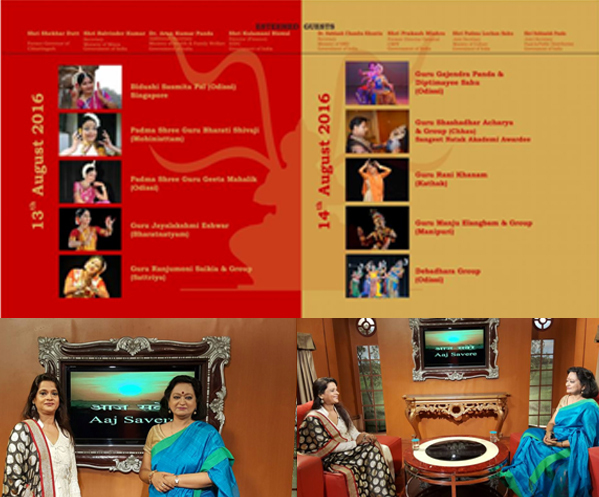 AAMAD’s artists have been featured in prestigious national and International dance festivals. AAMAD has been successfully organizing festivals & seminars for last two decades and won rave reviews from the art critics and art connoisseurs. AAMAD tried to highlight community issues through our performances and also raise awareness about rights of Women and person with disabilities. •	Focusing on Ideas about Natyashastra and its content. •	Differentiation between Folk dances and classical dances. 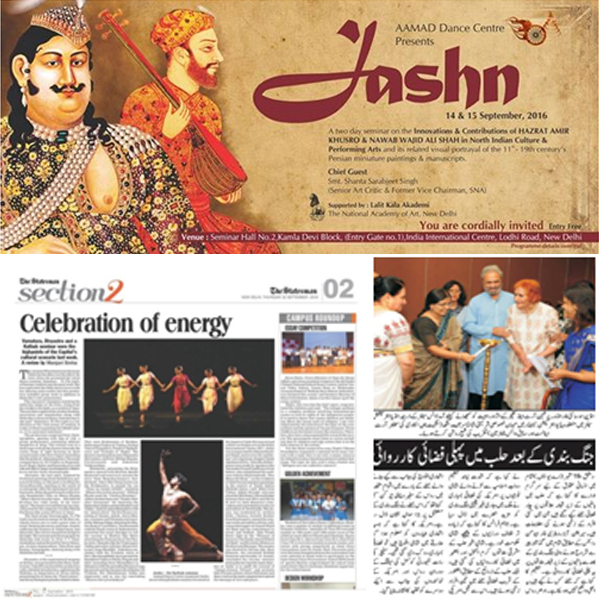 On 14 & 15 September 2016 AAMAD Dance Center organized successfully an interactive seminar 'JASHN' along with video interaction, highlighting the importance and impact of Indo – Persian art and culture & its related visual portrayal of the 11th - 19th century’s Persian miniature paintings & manuscripts at IIC, Lodhi Road on 14 & 15 September 2016. On 4 December 2017.Tedx TughlaqRd is known for its intellectual and interactive sessions with Speakers and Scholars of different fields. Guru Rani Khanam has presented Mathematics in Dance. On November 13, AAMAD has performed for GANGA MAHOTSAVA , celebrated annually on the banks of holy river Ganga in Varanasi, Uttar Pradesh. 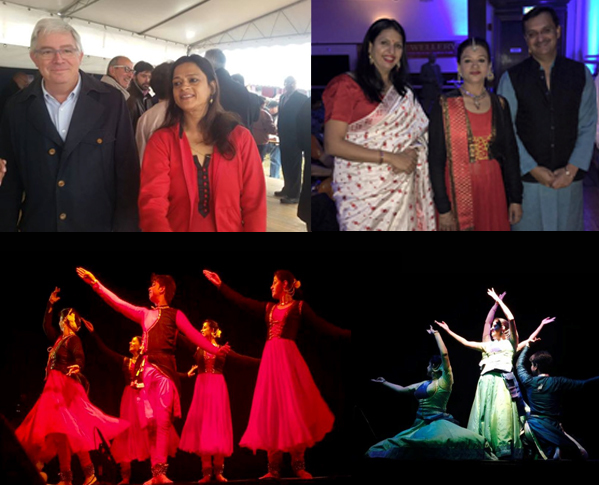 The Festival witnesses a huge presence of both national and international audience & tourists. AAMAD has performed on the last day of the Festival, it was held on 'Dev Deepavali' day- on the full moon day, i.e on the 15th day from Diwali . The festival concluded performances by Pt. Rajan Sajan Mishra & Niladri Kumar. Pt. Chunnu Lal Mishra Ji) appreciated and gave honour to Guru Rani Khanam and entire the team of AAMAD. DD National programme Aaj Savare. 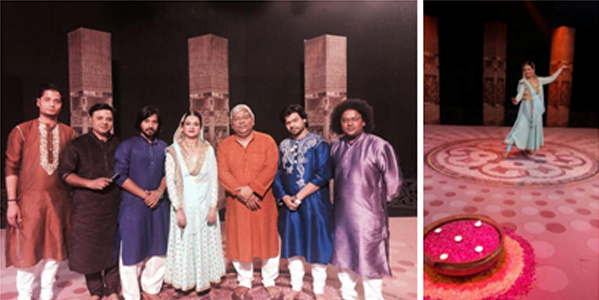 AAMAD Artists & Guru Rani Khanam has done a recording for National Doordarshan , which telecasted on 6 May 2016. The accompanists were on Sitar Fateh Ali Khan, on Vocal and Harmonium Shuheb Hasan, on Pakhawaz Salman warsi, on Sarangi Kram waris and on Tabla Shiv Shankar Roy. 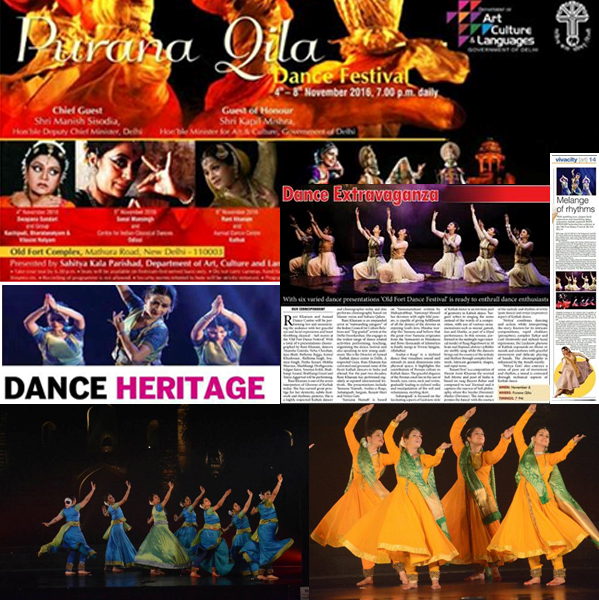 AAMAD ‘s senior students, Guru has performed on 6 November 2016 for Purana Qila Dance Festival at Old Fort, New Delhi. It is one of the top most three days dance Festival in India. 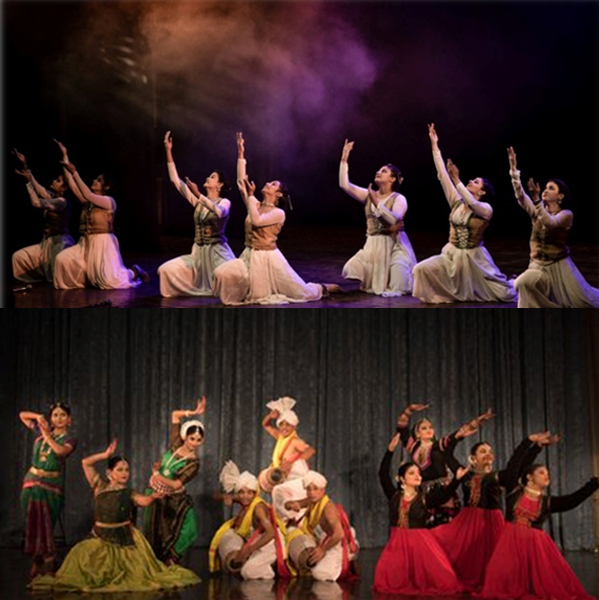 Aamad Kathak Dance center has done a abroad tour to SPAIN/ FRANCE & UK with its dance productions in the month of October 2016 (6-14), sponsored by ICCR, Nehru center. 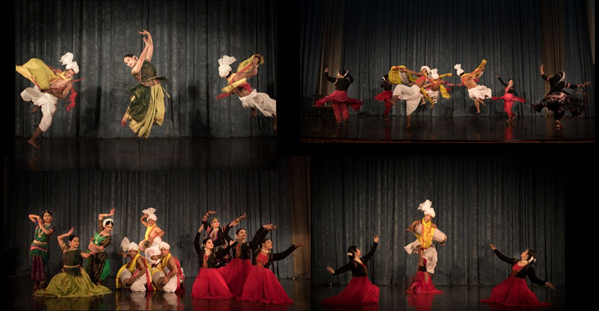 It was wonderful opportunity for the students of AAMAD to be a part of ABU Dance Festival. The whole concept of festival is aesthetically designed with highly professional presentation. It is needless to say that, ABU TV dance festival is first of its kind, which was never happened in the history of Doordarshan. The event witnessed the gracious presence of Chief Guest Smt. 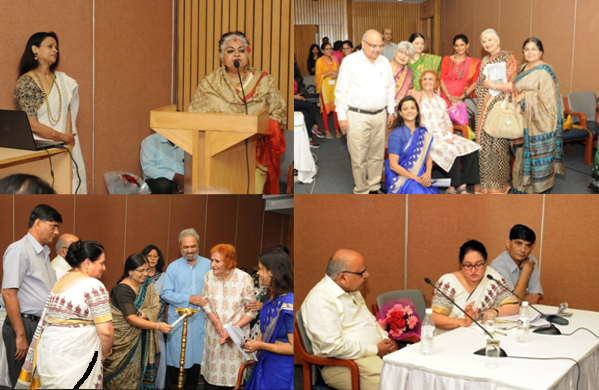 Shanta Sarabjeet Singh along with many eminent in the field of Art & Culture. The speakers on the occasion were Shri Narmada Prasad Upadhyaya from Indore, Latif Bolat from Turkey, Mirza M. Arif, Dr. Chetana Jyotishi Beohar from Khairagarh, Dr. Alka Pande & Shri Ravindra Mishra. The entire seminar was moderated by Dr. Arshiya Sethi & Dr. Navina Jafa. 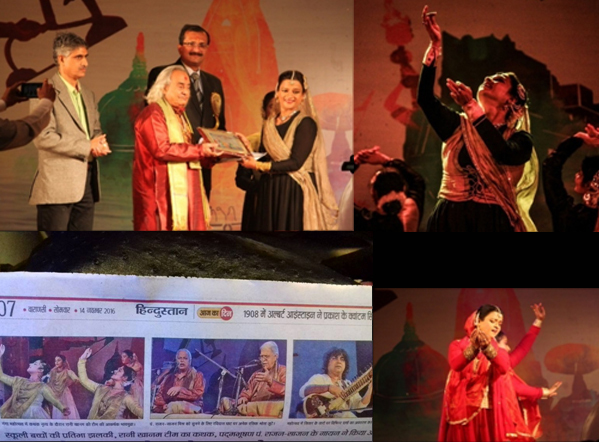 As a part of Debadhara's festival, Rani Khanam has performed and received Dabedhara National Award along with Guru Bharti Shivaji ,(Mohiniattam) Guru Jayalakshmi Eshwar, ( Bharatnatyam) Guru Shashidhar Acharya (Chhau), Guru Ranjumonic Saikiya ( Satriya) etc. on Sanday,14th August. The performance’s objective was to recognizing hidden potential of each person with disability. It played a vital role to awaken the inner self and instill a positive attitude towards to disabilities. The performance was highly appreciated and got standing ovation.